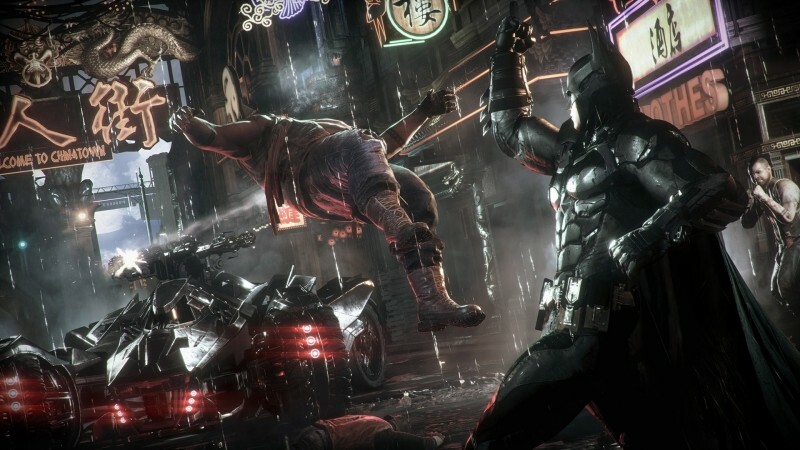 The much anticipated release of Batman: Arkham Knight has been far from smooth for PC owners, especially for those with AMD-powered rigs. The game's minimum specs were changed only hours before launch, seemingly as a response to performance issues with AMD hardware. The new specifications called for a Radeon graphics card requiring 3GB of memory, as opposed to Nvidia's minimum of 2GB. The update also came with the following warning: "there are some known issues with the performance of Batman: Arkham Knight for PC owners using AMD graphics cards. We are working closely with AMD to rectify these issues as quickly as possible and will provide updates here as they become available. We thank you for your patience in this matter." It's been suggested that part of these AMD-related performance issues stem from the game's heavy use of Nvidia's GameWorks feature. This isn't the only recent example of one of Nvidia's technologies conflicting with their competitor's hardware; The Witcher 3's HairWorks feature initially caused a huge performance decrease when used with AMD cards. AMD has rushed out a set of beta catalyst drivers that they hope will resolve some of these issues. Although they do warn that installing them may cause the game to crash when running an in-game benchmark. There's also currently no Crossfire support, but the company is working on fixing this. PCs using Nvidia cards have also had issues with the game; there are reports of frame rates dropping into single figures at times, and anyone with an SLI setup is likely to run into a multitude of problems. Arkham Knight shipped with a 30fps lock on the PC, something which users could only get past by editing an INI file, but many reports state an inability to reach 60fps once this limitation was removed - even with a top of the range 980 Ti and Titan X.
Batman: Arkham Knight on the PC is starting to look like a game suffering from 'poor console port' syndrome. Even if all these issues are eventually resolved through the release of new drivers and updates, it still begs the question why a modern title such as this didn't go through more rigorous testing before its release.